Do you dream of studying in Europe? Holland, also known formally as The Netherlands, is located in the heart of Europe and attracts students from all over the world every year. This country offers a diverse environment, vibrant lifestyle, and limitless opportunities. But why exactly are foreign students so attracted to studying in Holland? The Netherlands is known as the first non-English speaking country in which universities started to design higher education study programs in English to accommodate students coming from abroad. Since the middle of the last century, Dutch universities have offered English-taught undergraduate, graduate, and postgraduate programs, as well as short and preparatory courses. The Netherlands has been recognized as a knowledge center with rich study traditions and well-known universities. Scientific research done at Dutch universities is very highly valued at both the national and international level. Education in Holland meets all international standards and is well-reputed worldwide. A diploma from a Dutch university provides an opportunity to start one’s own business and can be very useful in terms of having a successful career in any country of the world. The Dutch educational system is interactive and focuses on teamwork, helping international students meet one another. During their studies in Holland, students become open minded specialists with a global outlook and an international orientation. The Netherlands has also received international acclaim for its groundbreaking Problem-Based Learning educational system where students are trained to analyze and solve practical problems and to develop their own professional individuality. When Dutch universities need to select candidates for a program or scholarship, they often do it in their own creative way, for example, through business games. 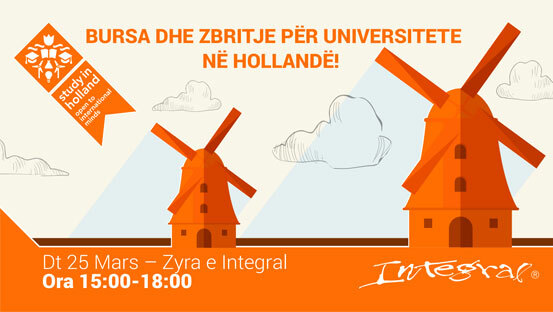 International students from all over the world come to study in Holland. With its key role in the European Union and multinational markets, The Netherlands is recognized as an expert in the fields of know-how and academic education. The Netherlands is a unique non-English speaking country in which 95% of inhabitants speak English. This factor makes living, studying, and working in Holland more comfortable and pleasant for those coming from abroad. Many international companies have departments in The Netherlands due to the favorable economic conditions. This feature helps students at Dutch universities by opening up possibilities to gain internships at many of these companies and allowing them to create their own professional networks for their future careers. For students from the EU, the annual tuition fee for a degree program or course at a Dutch university starts from €2,006. The cost of study programs for non-EU students may vary from €5,800 to €20,000 a year. In addition, many Dutch universities offer grants and scholarships that can reduce or fully cover the tuition fees of study programs. Due to its central geographic and economic position in continental Europe, The Netherlands is often described as the gateway to Europe. It takes only about an hour to fly from Amsterdam to Paris, Berlin, Brussels, or London. The Netherlands is also the place where German, British, and French cultures meet. In this technologically advanced country, nearly any household can receive TV programs from neighbouring countries and beyond. Cinemas show films from around the world in their original languages. Dutch universities also provide opportunities to explore European countries as they offer many study tours and exchange programs with many famous institutes in Europe.